It’s true. 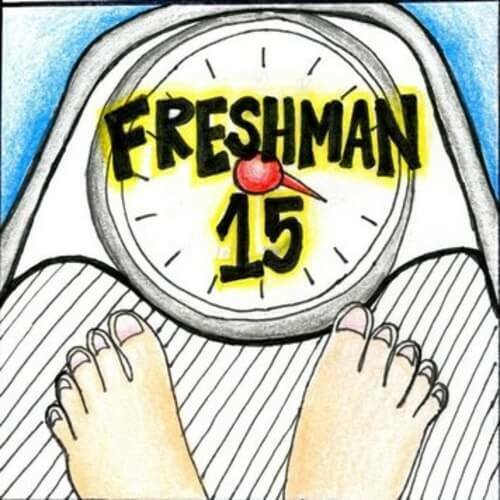 A lot of students who enter into their first year of university or college end up gaining 15 pounds. It happens for many different reasons like making making poor food choices, stress, and drinking alcohol. And it can be that much harder for students living in residence and stuck with a meal plan. So to make things a little easier, I interviewed Hannah Moore. She is a Certified Nutritional Practitioner (CNP), Registered Nutritional Consulting Practitioner (RNCP) at the Better Health Clinic in Orangeville, Ontario. I spoke to her about recognizing what she calls “franken” foods and what are some of the healthy food choices you can make instead. First, what are “franken” foods? Moore explains that these are the types of foods that have “zero nutritional value to them and foods that at one point in time might have had value, but now have been so genetically modified and man handled that they are not real foods anymore.” Simple carbohydrates or simple sugars is one example and the worst of them is processed white sugar. These are things like breads, baked goods, pasta… you get the drift… they’re those foods that are so good, yet they are so bad! But when you eat these kinds of foods, your blood sugar levels go up, your body gets shocked and doesn’t know what to do with all of the bad food coming into your body, so it decides to store it and turn it into fat cells. Then what should I be doing instead? You should be eating more complex carbs. These are foods that contain “vitamins, minerals, and are real, whole foods like potatoes, carrots, squash, sweet potatoes, beets, lentils,” and the list goes on says Moore. When you eat these foods, it will take longer for your body to digest them, so your body can properly absorb all of the good stuff in them. So, how should I apply this? Moore says always choose the healthier option like water instead of juice and add more vegetables to your plate. And if you can have a fridge in your room, fill it with fresh fruits and vegetables and snacks like yogurt and cheeses. If you’re allowed a cooktop, try cooking things like eggs, which she says are a great source of protein. But I just can’t resist?!?! I know. You have school to worry about, keeping friendships, spending time with your boyfriend, figuring yourself out, it’s hard! But, this is why it’s important “to keep making healthier choices when you can and keep better options of food in your living space, so you’re not tempted to go out and grab that quick McDonalds,” says Moore. She also mentions that life is about moderation, so it’s okay if you want to treat yourself! It can actually help you not spiral out of control because you’re not depriving yourself. Lastly, try to slow down! For more information you can always visit your university or college’s health and nutritional services or by taking a look at Canada’s Food Guide.